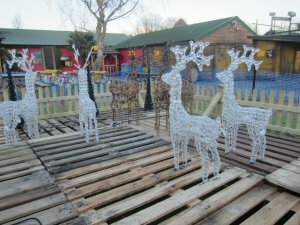 A sure sign that Christmas is finally on its way is when Drusillas Park starts assembling their magical Winter Wonderland. Since the start of November, the Estate team have been constructing the Winter Wonderland Illuminations ready for the Grand Switch On by Hello Kitty on Saturday 21st November. 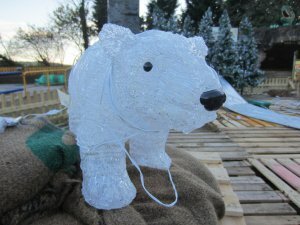 Located in the Events Arena, the impressive Winter Wonderland scene takes approximately three weeks to assemble. Around 60,000 LED lights are used to create the display, specifically chosen for their low energy consumption and environmental benefits. Introduced to the zoo for the first time in 2012, the Winter Wonderland Illuminations have proved a popular Christmas attraction. 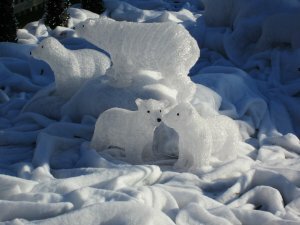 Synchronised to festive music, the display incorporates a host of magical creatures in an ice-capped kingdom including reindeers, penguins, seals and polar bears. There are also mini trees, a 20ft mega tree and an LED waterfall and running stream. 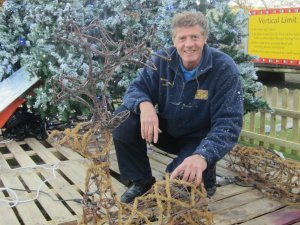 The 2015 show promises to be as spectacular as ever, with a selection of Christmas classics guaranteed to get visitors in the festive swing plus the introduction of arctic foxes, swans and doves to the display. However, there’s a mountain of work to do still before this year’s ice-capped kingdom finally comes to light! The concept of animating lights to music was originally founded in the USA, although it is still very rare in the UK. Work on the display will be complete in time for lighting up on Saturday 21st November, when Hello Kitty will return to her home at Drusillas Park for the Grand Switch On at 4.30pm. 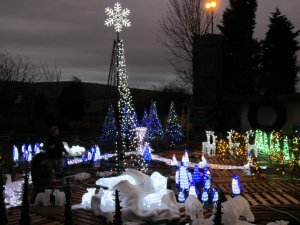 The Illuminations will then run every day until Monday 4th January, lighting up at 3.30pm with a light show at 4.30pm.